Just ADD 1/4" Spacers to the Alt. mount to put the Gen pulley in the right position. Just the opposite of using an ALT. on a GEN mount. I cut the ALT. ears 1/4". If you cut the GEN. mount ears... it gets thin.... make sure to use a Rear Support strap!! Edited 1 time(s). Last edit at 11/07/2018 12:41PM by MattNall. Great information Matt. I need to save all these specs for future endeavors. I KNEW SOMEONE HAD ALREADY DONE ALL THE LEGWORK FOR THIS CONVERSION. Hello everyone, and thanks for your patience, I am learning how much detail is necessary to these discussions. 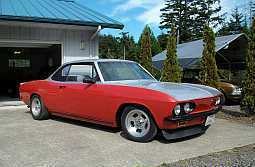 My FC is a 1963 Corvair 95 Rampside, standard trim. The engine is not correct as it is a car engine based on the location of the oil filler cap and dipstick. Also I understand that I have upgraded 85 hp cylinder heads. 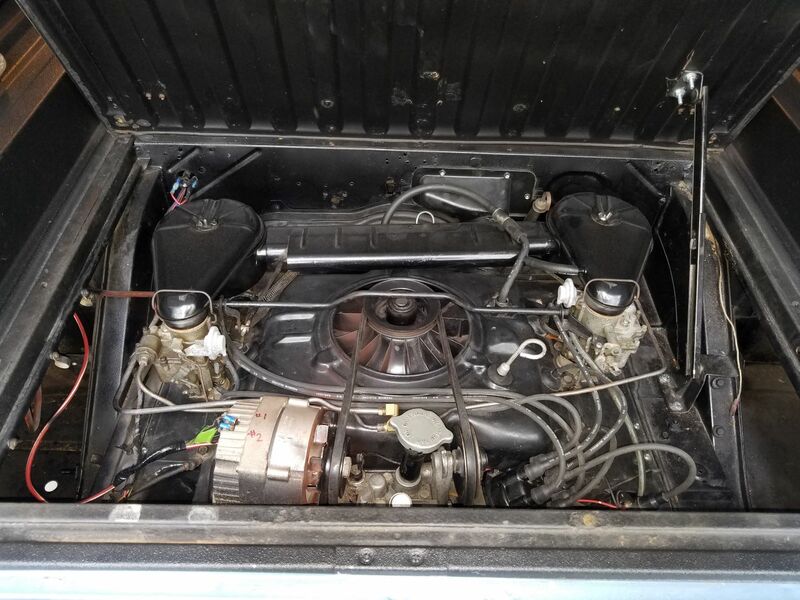 I am running stock dual carbs, and a conversion to a PG transmission. The alternator conversion was done by some previous owner. 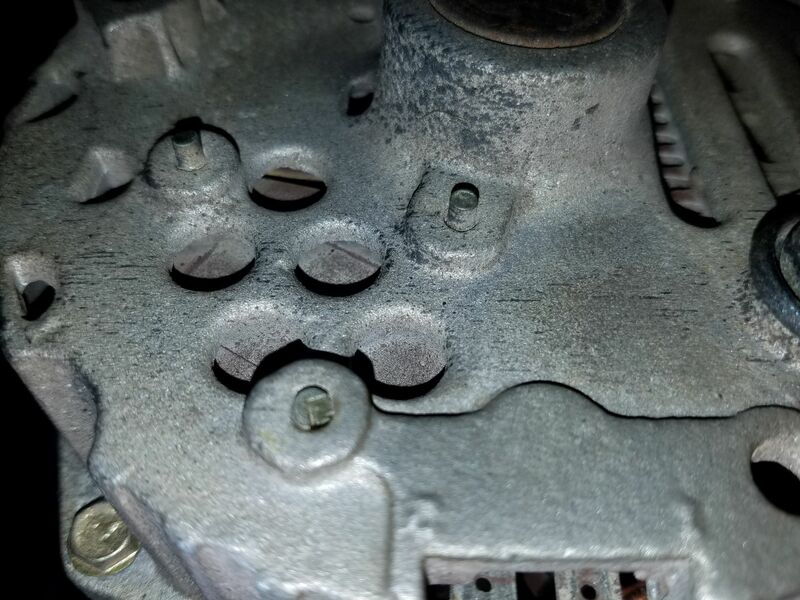 The alternator appears to be internally regulated, and I cant find any trace of the original regulator on the left side of the engine compartment. The alternator has a large post, and two spade connectors which are labeled 1 and 2 respectively. On closer examination the alternator did not seize, but rather the pulley bolt loosened. The alternator turns freely, and the pulley bolt is now secured. The shaft and pulley surfaces were marred, but I believe they are serviceable with a minor brushing and going over with emery paper. Is this an appropriate alternator for use on a Corvair engine? 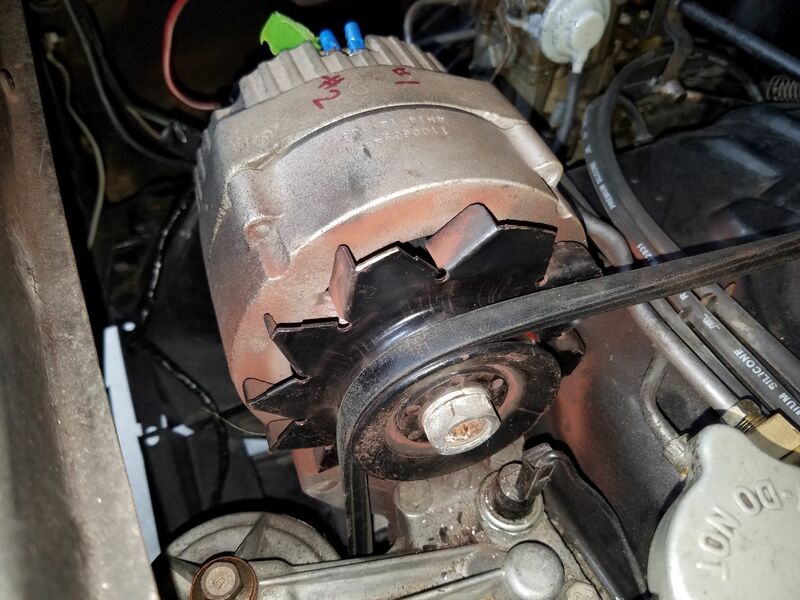 Is the alternator fan turning in the correct direction for a Corvair? 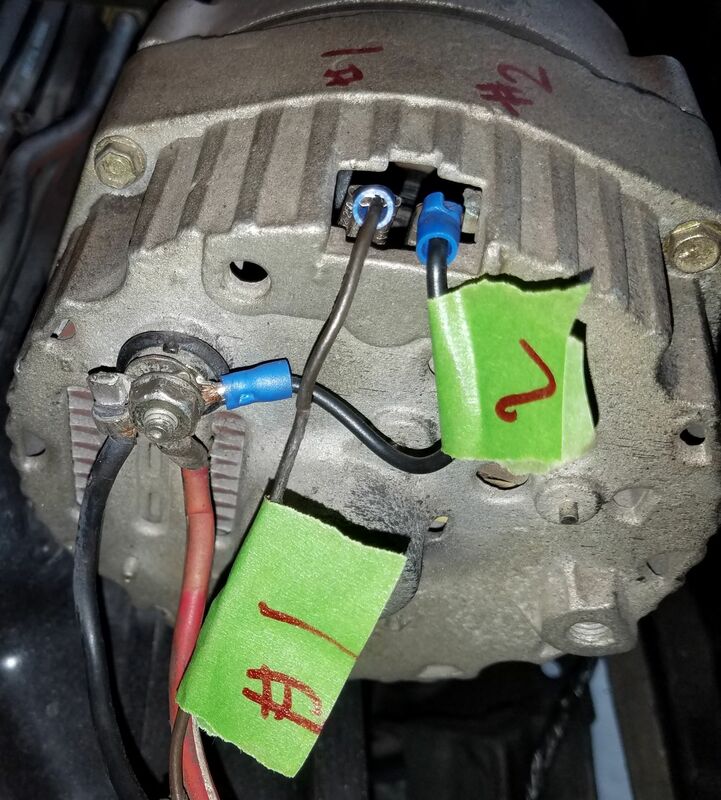 Does the wiring look correct for an internally regulated alternator? Here is a view of the alternator wiring. Is this pic BEFORE the pully broke? NOTE; you have a wrong dimension belt.... that is 7/16"
We thank you for the pictures. You do have the correct Corvair fan on the alternator (a + for you). You also have the internal regulator alternator (also a + for you IMO). Notice the "rust" around that area and maybe the left side of the engine fan, that is from someone not properly tightening the fan/pulley. I would do what you mentioned also. Clean up the alternator stator (where the alt. pulley slides on) as well as clean up the alt. fan/pulley. You want it to be a little bit of a tight fit there. Then I would properly tighten that nut (I don't use a shmork wrench, I would give it a couple of good raps with an air wrench). I would also wipe away all the rust and monitor that area. You should keep a bit of an eye on your engine. It only takes a moment. Your wiring looks correct and proper enough. 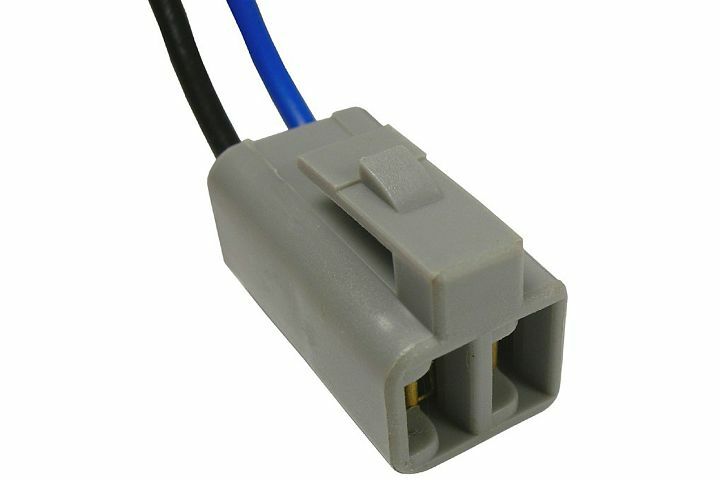 I like using the GM plug that keeps 1 and 2 wires separate but that is just me. 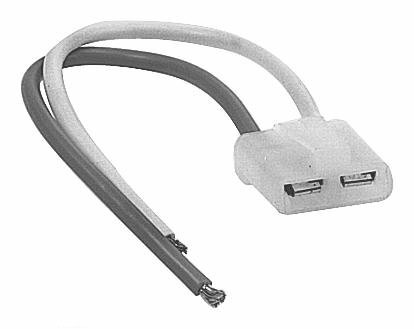 You can get the correct plug for wires 1 & 2 at local auto parts store. Will look neat and correct. The photos are from after the pulley bolt loosened. I have tightened up the bolt, though I may take it apart again to replace the lock washer which seems to have very little offset. I will also replace the belt. Does anything else look amiss? Other than that fine... to me. Torque is 70 ft lb.... Just use pipe extenders on both so you can get it by hand... 70 ft lb is common wheel lugnut torque of the 80's and older cars..
Just put this style plug onto the wiring and plug into the alternator and it should be good and look professional. 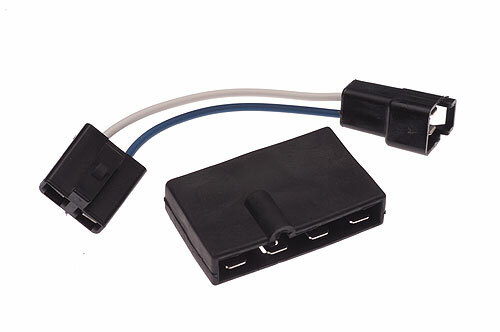 It will prevent any accidently shorting of the wiring to those 2 terminals. 50 ft lbs on the fan nut torque, that is called out in the 65 shop manual. Edited 1 time(s). Last edit at 11/09/2018 12:09PM by Lane66m. Al that's for 10DN's I believe.. 10 SI's are 70.. If you are talking about amps 10SIs came in several output ratings. OEM alternator plug on 65 - 69 is shown below. The electrical adapter kit to use a 10S1 is shown in second photo. Just completed 2 kits recently, so I have become a bit familiar with them. I also setup my engine test stand to run with either alternator. From all the past discussion on the fan change out on 10SI , 50 ft lbs was the value called out and I used it. So I have been parroting the same. Guess I need to find a procedure for 10SI alternator. Update: Found document. It is a pdf, so you will have to download your own copy. Torque is 40 - 60 ft lbs on 10SI alternator per Delco-Remy instructions. Edited 1 time(s). Last edit at 11/09/2018 01:26PM by Lane66m. Torque shmork. GIVE IT A COUPLE OF GOOD WRAPS WITH AN AIR WRENCH. (Or maybe I have been doing it wrong all these years? 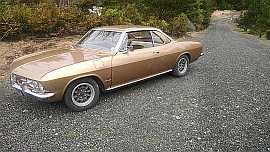 Now you tell me after I have driven Corvairs across country a few times. And across town). And we know pictures were taken after nut came loose. Rust tells the story.